What on earth are Cake Balls? Cake Balls sound odd don’t they. I had no idea what they were. Oh my goodness me these were delicious and I have to admit I ate nearly all of them to myself. I have a very beautiful and very slim neighbour who I did let have one. She declared it gotrgeous after mmmm ing a lot then sid ‘Oh, it’s just the perfect size isn’t it…a slice of cake can be so intimidating’ I have to admit I have never, ever, in my life found a slice of cake too big or in the slightest way intimidating. This probably explains our different waist sizes! Cake balls are lovely; a gorgeous gift idea, pretty as a picture and the perfect little cake to go with a coffee….oh and they travel so well! 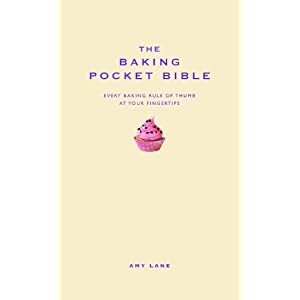 Amy Lane if you haven’t yet come across her before is a mummy blogger at Cooking , Cakes and Children and has just published a fabulous new book The Baking Pocket Bible which I am eagerly awaiting lelivery of. This beautiful hardback gift book will be your go-to friend in the kitchen and helpful guide when out shopping for ingredients. Packed full of history on the origin of baking treats and traditions, The Baking Pocket Bible also contains a wealth of great recipes for experienced bakers and practical know-how for those new to baking. If Amy writes as well as she makes Cake Balls this book will be a winner! Previous Post The value of a mum in monetary terms is….